The Navy is trying to finalize plans to replace the aging fleet of C-2A Greyhounds with the tilt-rotor V-22 Ospreys, an aircraft that will comprise a new training squadron at Naval Air Station North Island in San Diego, California. The Navy plans to hold a public hearing for locals in Coronado on Feb. 7 to hash out the details, according to the San Diego Union-Tribune. The C-2A Greyhounds have been the Navy’s primary transport vehicle to underway aircraft carriers for five decades. But the Pentagon believes the propeller planes have done their time and should be replaced. On Nov. 22, a Greyhound crashed into the Pacific Ocean while in passage to the carrier Ronald Reagan, killing three sailors. A plane carrying 11 crew and passengers was transporting personnel from Marine Corps Air Station Iwakuni to the carrier Reagan. The current goal is to exchange the 27 Greyhounds remaining in the fleet for 38 new Ospreys. The Osprey’s main asset is its ability to take off and land vertically, like a helicopter, meaning it needs a much smaller runway than the Greyhound and can deliver passengers and supplies at night. The Air Force and Marine Corps have used Ospreys since 2007. They were made to replace the CH-46 Sea Knight helos, and can reach speeds and cover the range of turboprop planes. The Navy’s Ospreys will differ slightly from their Marine and Air Force cousins, having room for more fuel, improved communications gear and a PA system in the main cabin, The Drive reported. 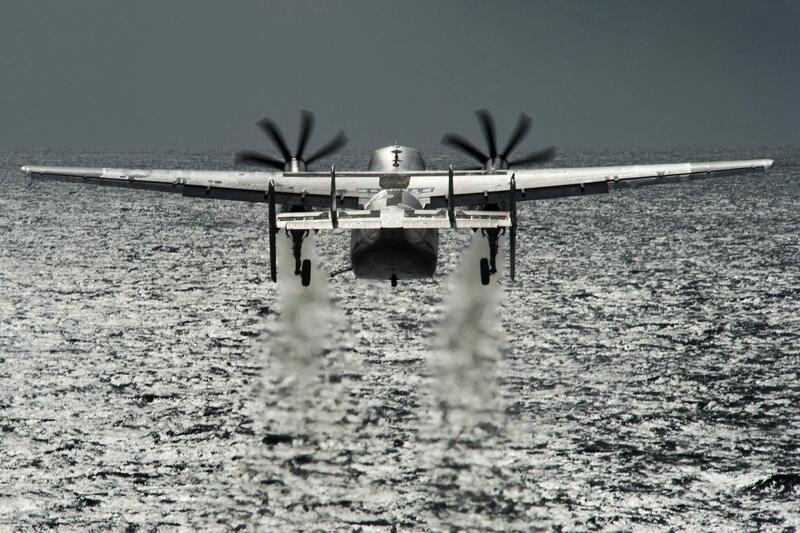 The Ospreys underwent a series of tests last summer, including a two-week assessment in Augustby the Marine Operational Test and Evaluation Squadron 1 aboard the aircraft carrier Carl Vinson. Officers were impressed with the aircraft’s versatility. “It gives us a lot of options, a lot of flexibility, in the sense that we can recover it more as a helicopter or sometimes we can treat it more like a fixed-wing aircraft,” Vinson’s air boss, Cmdr. Lucas Kadar, said in a press release at the time. The Navy plans to split its fleet of Ospreys between Naval Air Station North Island and Naval Station Norfolk in Virginia. Once in service, the Ospreys will pick up personnel, mail and cargo from both supply centers and deliver them to aircraft carriers worldwide. The Osprey training facility will be constructed on North Island, and will come with additional aircraft, personnel and air traffic. The Navy is in discussion with the residents of Coronado about the effects these changes will have on surrounding wildlife and neighborhoods. According to the Navy’s current timeline, the Ospreys should be fully operational by 2024. The Greyhounds should be retired by 2026 and the transition should be complete by 2028. The North Island training facility is estimated to take a decade to construct. 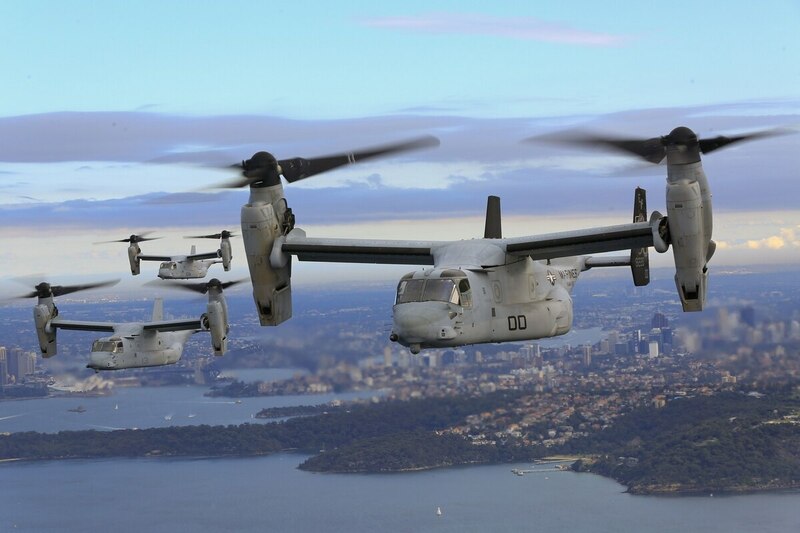 In the meantime, Marines will train Osprey pilots and crews.